Nobody’s perfect! In a world where we’re all different, our uniqueness should be celebrated, yet most of us are bombarded daily with messages that we’re not good enough, and sadly we start to believe it. Building confidence in yourself and in your body is the foundation to achieving what you truly want out of life. Learning to love yourself for what you are isn’t an easy thing to do, but it’s worth it. Have you ever wondered: “How can I improve my body image?” The answer might be here. This is a short list of 7 ways that can help you improve your body image and confidence in yourself. Write down 5 things that you like about yourself. Include things that you’re good at, or various ways you’re proud of yourself. Then, after this list is done, make another list of 5 things you like about your body and appearance. This might be hard to do at first, but just do your best and add to the list later when you think of something else. 2. Take a closer look at nature. Go outside and find something in nature – a flower, leaf, twig, grass blade, or anything that catches your eye. Is it perfect? Or does it have irregular edges, rough sides and blemishes here and there? Chances are that it is imperfect, yet it is still so amazing and complex. Nature is beautiful despite its “failure” to be perfect. Take this wisdom and use it on yourself – you are imperfect, yet you are also beautiful. 3. Replace your negative thoughts with positive thinking. Every time you hear yourself talking negatively about how you look, spend an equal amount of time giving yourself positive feedback. Your worst critic is yourself, which means only you can change that. You do have the power to focus on the positive, change your own state of mind and trash negative self-talk whenever it pops up. 4. Be realistic and honest to yourself. If your ultimate goal is to lose weight and get in shape, don’t expect it to happen overnight. Don’t buy a closet full of clothes that are too small for you to fit into, hoping that you’ll fit into them soon – it’s just depressing and it doesn’t always motivate you either. Buy and wear clothes that you are comfortable in, and if you can’t stand looking at the size on the label, cut the tag out! Weight loss is a slow and gradual process and you can’t expect instant results, no matter how much you want it to happen. 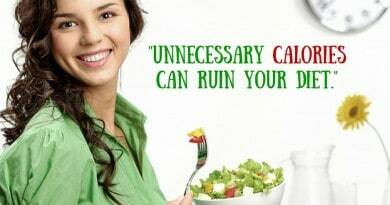 Stop feeling guilty about what you’ve been eating and start eating right! Nourishing your body by eating healthy foods and limiting sweets and unhealthy fats. Everyone should exercise, and not necessarily just for weight loss. Regular aerobic exercise improves heart and lung health, and therefore benefits the rest of the body, increasing muscle endurance, circulation and overall body health. Resistance exercises, such as weight-lifting, tones your muscles and helps boost your metabolism, too. If you don’t really like to exercise in the gym, explore your many other options for being physically active, like learning how to play like a kid again. Staying active is a great way to give back to your body for all it does for you. The more you love and take care of what you have now, the more likely you’ll move in the direction of self-improvement. Make your body and mental health your priority. Bring back the balance in your everyday life. Start to care about yourself today. 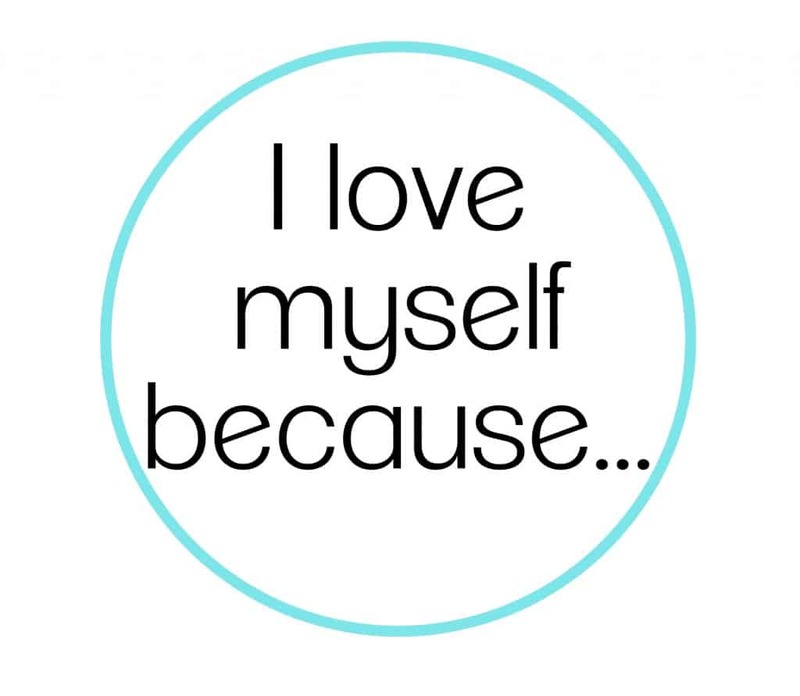 A few months ago we wrote about a 7 days love yourself challenge that you can try. We hope this list will help you improve your body image and boost your confidence. 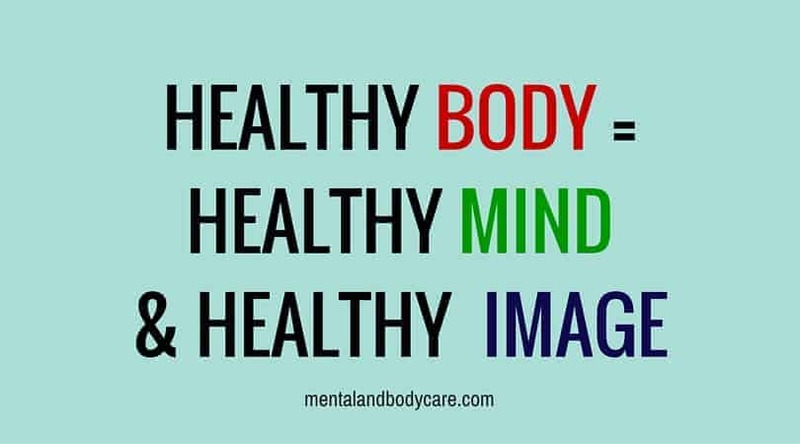 Remember, a healthy body means a healthy mind and image. If you liked the list, please share it, it might help someone else too. If you disliked it, or think it’s missing something, please share your opinion in the comments bellow.